Take your experience in Italy to the next level, take our Italian language course 100% tailored to your needs with your dedicated professional trainer. Wherever you are in the world, take individual Italian lessons online with your dedicated professional experienced trainer and learn or improve the everyday language through real conversation at a time which suits you. 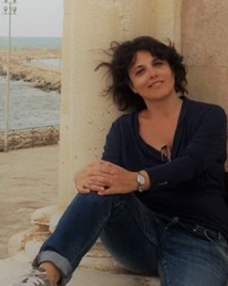 Dedicated teacher with years of experience in teaching Italian to non-Italians. Lessons 100% tailored to your needs. Flexible timetable: choose a time convenient for you. Material to study and review your lessons. Buy your dedicated Italian language course or book your trial now, and start when it's convenient for you! Book your trial or buy your preferred lesson package. 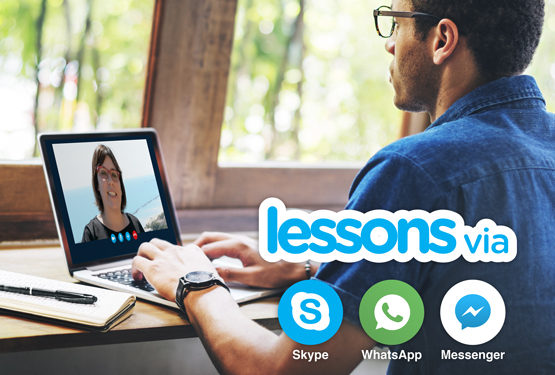 After we receive notification of your course payment or reservation of your trial lesson, you will be contacted directly from your trainer to start planning your lessons on Skype according to your needs. If you don't have Skype, you can easily download it for free. Or else, you can decide with your trainer about using another means of communication (e.g. WhatsApp, Messenger etc.). To access our online Italian classes you need a computer, a tablet or a smart phone (web cam optional); a reasonably fast broadband Internet connection and Skype (or another means of communication to agree with your trainer). Was born in Naples but moved to Le Marche when she was 7 years old. She's 100% Italian but she's very interested in foreign cultures and languages. 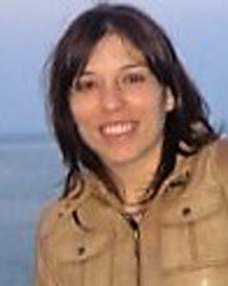 Ths't why she spent some years abroad and also speaks Russian, English and a bit of French. She loves reading, writing - she writes articles for on line magazines, fairy tales and nursery rhymes - playing piano and walking along the seaside. Was born and educated in Toronto. Her family moved from Italy to Canada in the 1970's. That is one of the reasons why once she finished University she decided to go back to her roots and moved to Italy for a year and ultimately decided to live in 'the bel paese' indefinitely. She's bilingual and loves all things Italian. She cannot imagine her life without her morning espresso at the "bar". If you're having trouble finding a good and effective Italian language course that fits your specific tastes or goals, wherever you are you will enjoy our programme that suits all ability levels and learning styles. With your personal and qualified trainer you'll learn how to introduce yourself, ask for directions, book a hotel, order in a restaurant, all the way to master the process to find your dream home in Italy and everything else you need to know to fully live in and travel to Italy. Your dedicated trainer will evaluate your language skills before starting and will define your personal path to Italy. She will also assist you with error-correction, new vocabulary and other needs or difficulties you might encounter. Your personal trainer is waiting for you. Start learning! The Italian course at Gate-away.com is great! Each week, the lesson is individualized to my skill level and interests by my instructor, Angela. She skillfully creates helpful and effective lessons that increase my learning — and they are FUN! Talking and reading the lesson together via Skype is a perfect way to learn the correct pronunciation and usage of words to improve fluency and conversational abilities. My teacher is always willing to set our class time to accommodate my changing schedule. I would easily recommend this course to anyone who is looking to improve his/her language skills. I absolutely say that the course on Skype works very well. It is very easy to sit in your home and it just takes one hour of your day to get a lesson of high quality. Elvira is a really good teacher, the layout of the lesson is very good and it is very easy to send it and get it corrected in just a fee hours. I absolutely feel that I have improved a lot! As I love study languages I know that it's very important talk and hear everyday the new language and not only study the grammar and the books. For me it's also important that my teacher does not speak my language (Portuguese). I found all this with this course! My teacher is very patient and give me a lot of attention. She is always correcting me and after each lesson she send me all in a report and also exercises and videos. It is easy to be in touch with her. Does not matter if I use e-mail, Messenger, Whatsapp or Skype. She is always on line and answer my doubts. I am happy to have this opportunity! In spring 2017 I happen to see the ad of the Gate-away.com offer to take Skype lessons to improve my Italian. Spontaneously I booked a test session and I am continuously taking weekly sessions since. For me It is the absolutely perfect way to improve. I can chose time, frequency and speed. The lessons are designed to my personal requirements and needs. My Italian improved by approximately 50% after 10 sessions. It is the most efficient learning experience ever. Initially my wife and I were a bit sceptic about Gate-away.com course, but after a trial lesson by Skype and some email exchanges with the teacher, we thought “Why not”? That was a very good decision! After a couple of months we are very enthusiastic about the lessons, our teacher Angela and the improvements we are making. Each lesson is composed flexible corresponding to our needs. We decided to continue and bought a second package. And now we are hoping the Italians will notice the difference! For two years I had tried everything I could to learn Italian. The course provided by Gate-away.com is the perfect solution for my needs. My instructor is knowledgeable and experienced and is flexible with my schedule. Our are like talking to a patient friend who has my best interests at heart. This makes me feel comfortable receiving corrections on my grammar and pronunciation and I have the chance to hear pronunciation from a native speaker while practicing my listening skills and expanding my vocabulary in a way that makes me feel like I‘m in a classroom in Italy. The worksheets are fun, engaging and relevant. I will always highly recommend this course to anyone. We enjoy every minute of our weekly lessons and our teacher feels almost like a friend. It is a great and easy way to learn Italian. We are learning Italian in a very relaxed way. Choose your lesson package, complete the booking form.